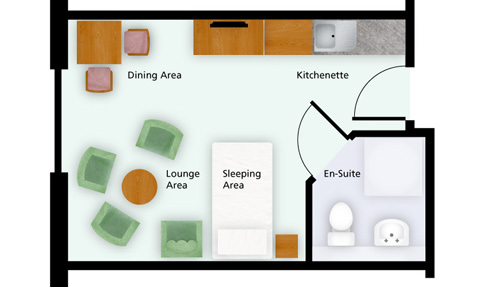 The care suites provide residents with much more space than nursing home bedrooms, but with the same level of nursing care and support. At Woodchurch, some of the care suites are specially for dementia sufferers who would otherwise need to move into a traditional EMI nursing home. 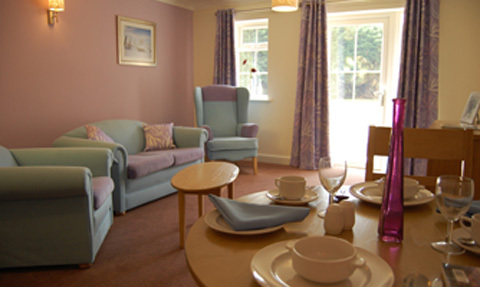 Woodchurch House is registered to provide both personal and nursing care to the residents of the suites. The in-house team of registered nurses and carers is available 24 hours a day to respond to the residents’ care needs when required. With Registered Nurses available on-site, the suites offer a permanent home where the residents do not need to worry about moving when their care needs increase.